"Ya'll know who you are." 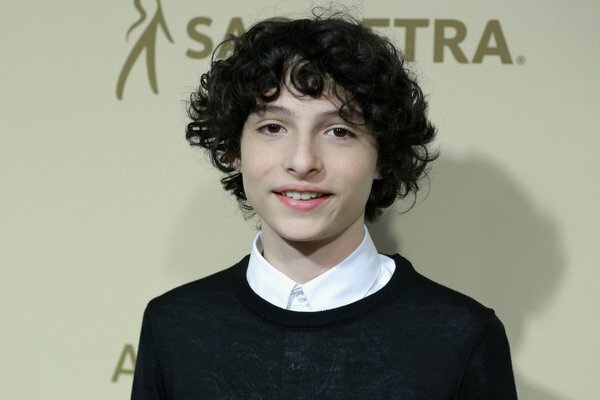 Stranger Things actor Finn Wolfhard is issuing a lighthearted but firm warning to fans urging them to "think before ya type" and stop harassing his co-stars. Finn became the subject of intense debate this week after a video of him "ignoring" fans outside his hotel was posted on Twitter with a caption calling him "rude" and "heartless". Fans were swift to defend the 14-year-old star, pointing out that he is only human and occasionally needs a break. Finn took to Twitter to send a message to anyone harassing members of the Stranger Things cast. Finn didn't specify what exactly led to the tweets, but it's clear that he and the cast have been dealing with some potentially upsetting fan interactions lately. Noah Schnapp and Shannon Purser came to Finn's defense earlier this week after the hotel video of Finn was posted to Twitter. The co-stars stood up for each other, reminding fans that there are boundaries and circumstances to consider when approaching actors. Loyal fans of the young star are reassuring him after the tweets. you’re doing ur job and making us happy by filming all of these shows/movies, and what do some people do back? harrass/attack you guys. not okay! people need to understand that you guys are jet-lagged and have hours of press. Which requires you to be able to have breaks too! Finn calling out inappropriate behaviour in this way is important. We're all obsessed with Stranger Things but it's clear that the way a few fans have been talking about, approaching, and pressuring the kids needs to change. The fact that a kid had to say all this is sad, but hopefully the fans Finn is referring to have received the message loud and clear.